Comments: This is an old perennial that has been grown for many years in gardens across the land. 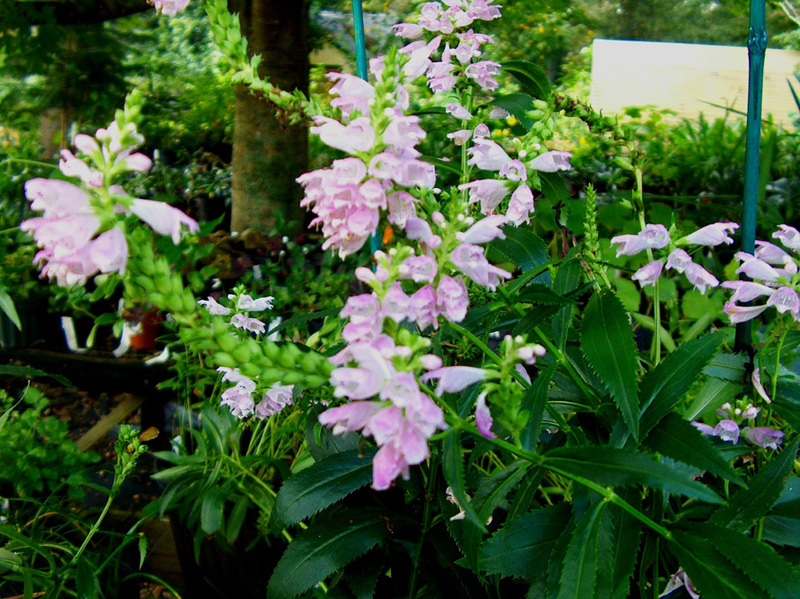 It produces stalks with pink to lavender tubular flowers that are arranged in columns up square stems. Each flower has a two-lobed lower lip and a spotted, three-lobed upper lip. Plants produce creeping rhizomes that eventually form colonies of plants. This perennial is not that particular about where it will grow. It does well in rather moist, poorly drained soils to dry sandy soils. This is a good choice for the cottage garden.